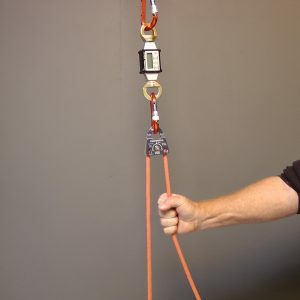 When you have a cool toy like the Rock Exotica Enforcer load cell, you just gotta find some fun ways to play with it. How about measuring how load on an anchor changes when holding, raising or lowering a load? 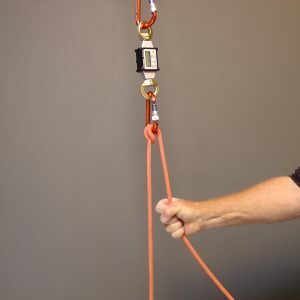 How about how the load varies when you are using a real pulley vs using a carabiner as a pulley vs employing friction with something like a munter hitch? Well, here you have it. Just a simple quick look. Nothing scientific, but the results may be of interest. 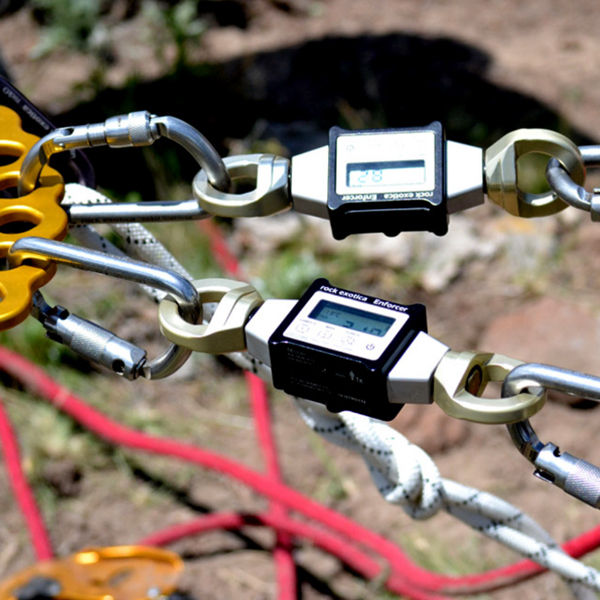 This first photo shows the 10-pound weight suspended directly from the load cell. Static load was 11 lbs. 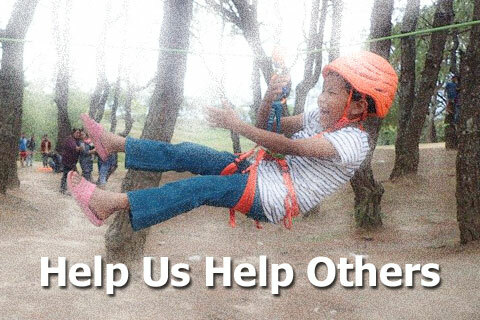 More than 10 because there is a carabiner and a bit of rope added to the weight. Rock Exotica pulley rated around 92% efficient. If it was 100% efficient the load should register 22 lbs - 11 lbs on the load side, plus the 11 lbs of force I must apply to hold the load. The load cell read 20 lbs (+/- 1 lb). I applied only 9 lbs of force to hold the load in place because the friction of the rope passing over the pulley held a portion of the weight. While lifting the weight the load cell read 24 lbs (+/- 1 lb). I needed 13 lbs of force to lift the 11 lbs weight because I needed to lift the load, plus overcome the small amount of friction created by the pulley. While lowering the weight the load cell read 19 lbs (+/- 1 lb). 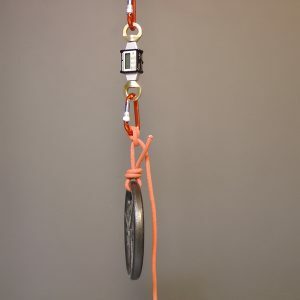 Rock Exotica Pirate carabiner used as pulley. No efficiency rating. The load cell read 20 lbs (+/- 1 lb). 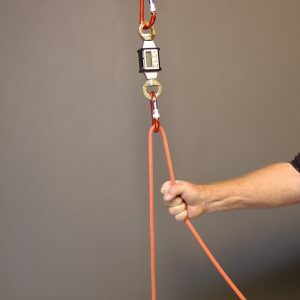 I applied only 9 lbs of force to hold the load in place because the friction of the rope passing over the carabiner held a portion of the weight. The +/- in my readings may account for a difference I was expecting. This reading was the same as that of the efficient pulley, but I think the higher friction of the carabiner should have resulted in a slightly lower rating than I got for the pulley. While lifting the weight the load cell read 34 lbs (+/- 1 lb). I needed 23 lbs of force to lift the 11 lbs weight because I needed to lift the load, plus overcome the friction created by the carabiner. Friction is a disadvantage when raising. While lowering the weight the load cell read 16 lbs (+/- 1 lb). Friction is an advantage when lowering. Munter hitch, no efficiency rating. The load cell read 16 lbs (+/- 1 lb). I applied only 5 lbs of force to hold the load in place because the friction of the munter hitch held a portion of the weight. While lifting the weight the load cell read 140 lbs (+/- 1 lb). I needed 129 lbs of force to lift the 11 lbs weight because I needed to lift the load, plus overcome the substantial friction created by the munter hitch. While lowering the weight the load cell read 13 lbs (+/- 1 lb). I only needed 2 lbs of force to lower the load because the munter hitch did most of the work. Friction is a definite advantage when holding or lowering a load. I had no idea in advance what the actual readings would be, but I did know when they would be higher and when they would be lower. I will expand on this information more in an upcoming video about the principles of mechanical advantage in hauling systems.